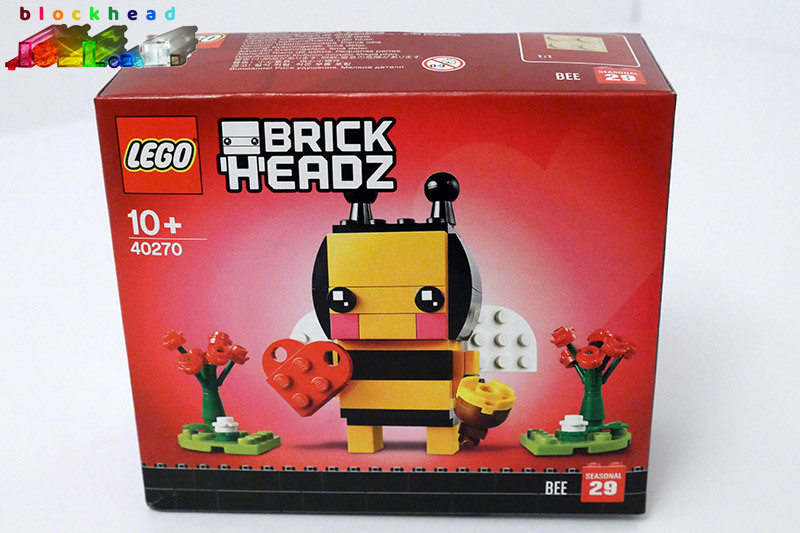 Until now, the whole Brickheadz theme had largely passed me by, as they depicted superheroes or Star Wars characters that I wasn’t very interested in. 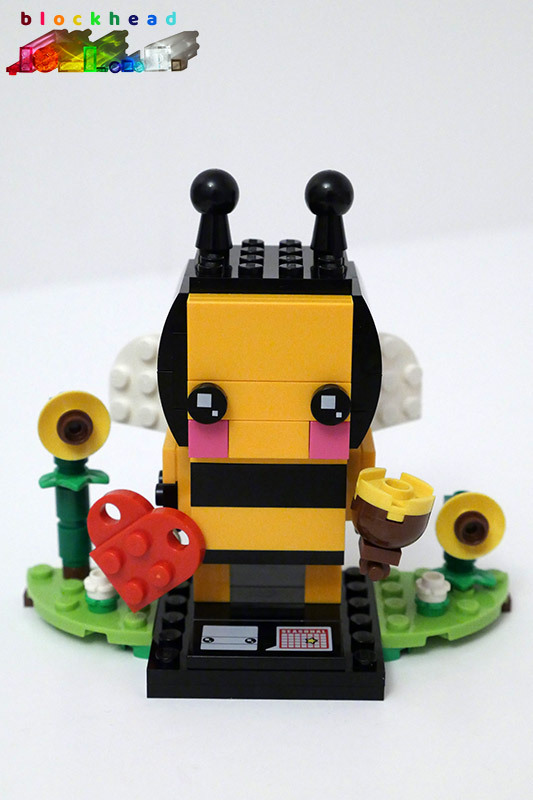 But when I saw the Valentine’s Bee and Easter Bunny, I decided they would be great to have in my collection. 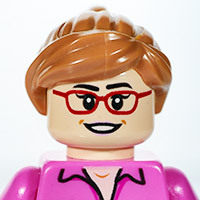 On my visit to Newcastle this week, I popped into the Gateshead LEGO store and found them both in stock, so I bought one of each. Bunny was the first out of the box and it was an enjoyable little build. 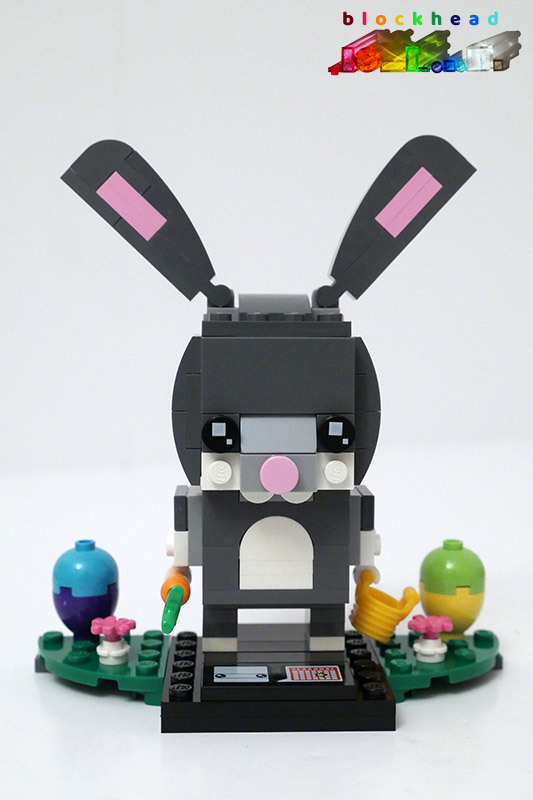 I love those big ears, buck teeth and carrot in hand – not to mention a basket for two huge Easter eggs. It is quite similar in construction, apart from having a couple of antennae instead of huge ears. Still very cute though. 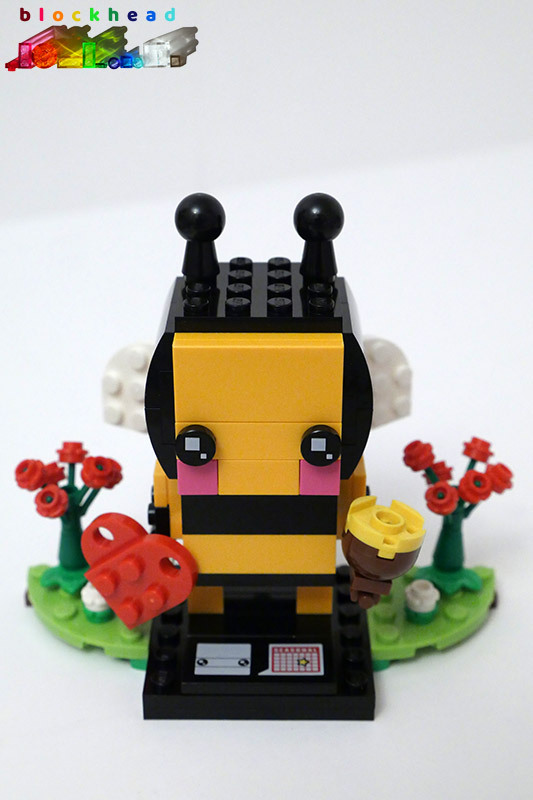 The bee comes with two variations of flowers to go with the heart and honeypot. 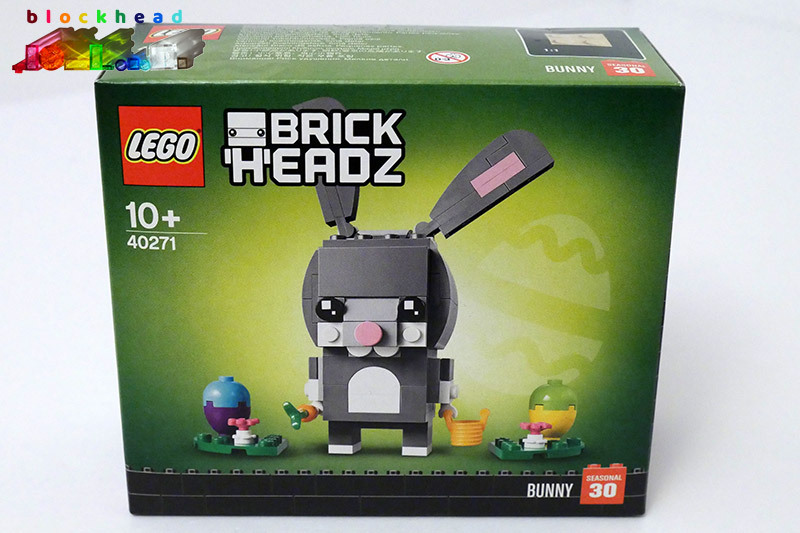 They make cute additions to my collection and I suspect I might be investing in a few more different Brickheadz over the coming months – particularly some of the new ones which are due out this year. I drove from Leicester to Newcastle today, by way of a slight detour to visit the LEGO store in the Gateshead Metro Centre for the first time. 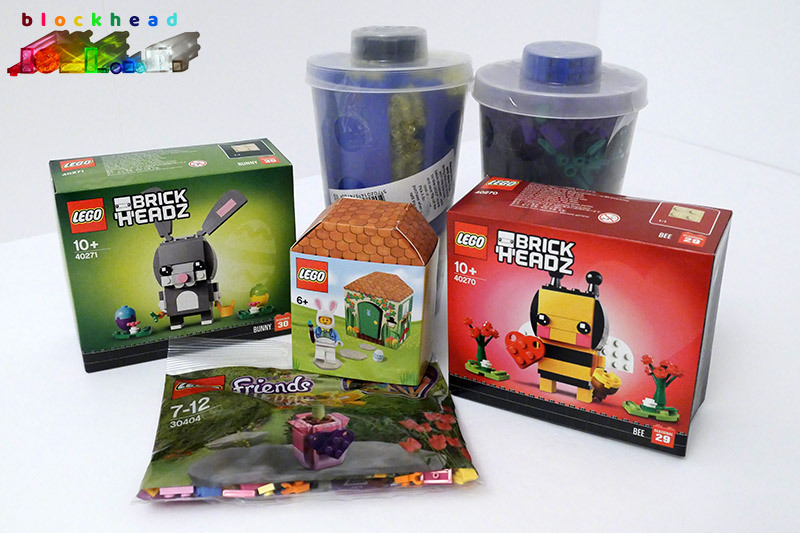 It’s always good to go to a different store to see what the PAB wall holds, and I was able to pick up a few other bits which have been on my shopping list for a little while. 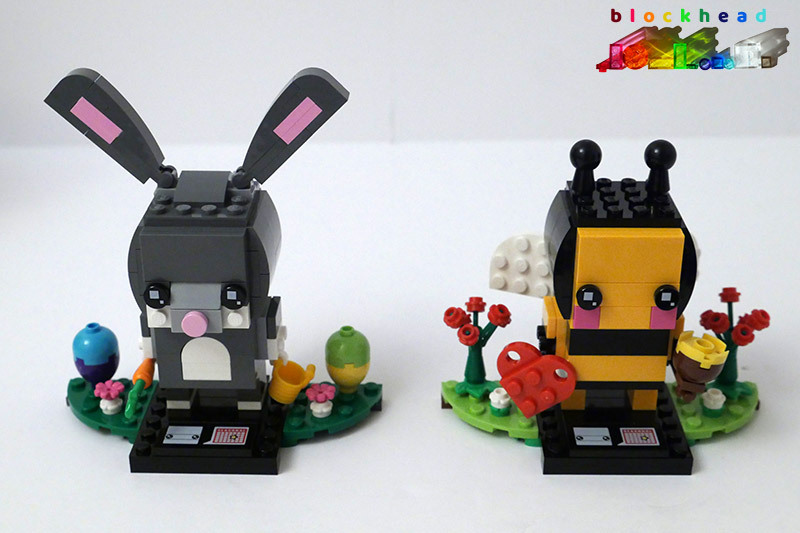 I stuffed a couple of big pots with PAB stuff, chose the two seasonal Brickheadz models – Easter Bunny and Valetine’s Bee (my first Brickheadz, but probably not my last) and got the freebie Easter Bunny Minifig and Friends Flower thrown in. 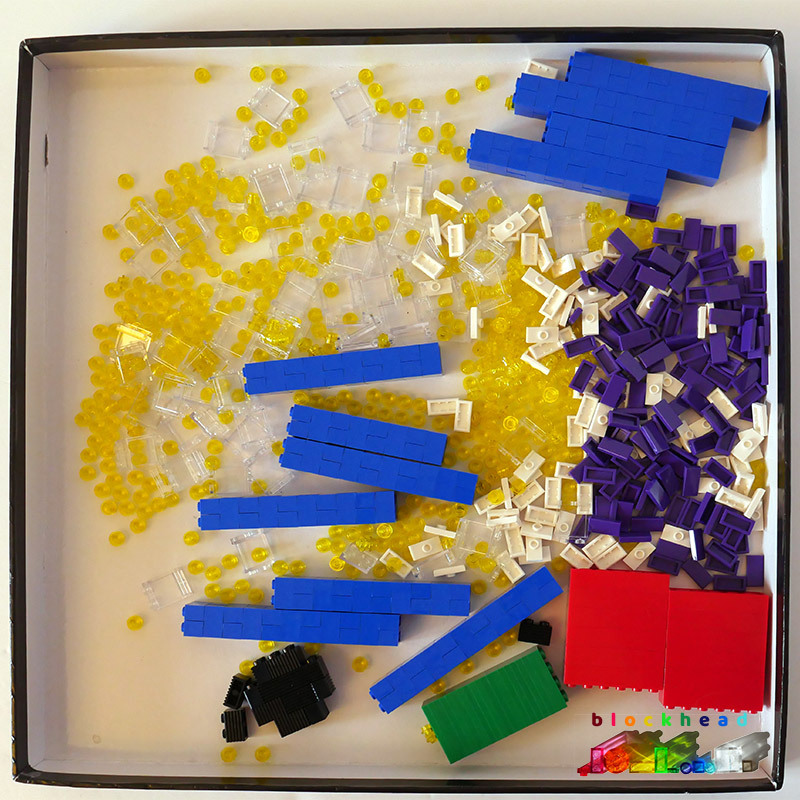 The first big pot contained a number of 1×2 blue bricks, 1x2x2 trans clear window panels, some longish plates and a few 1×2 tiles and jumpers. And lots of 1×1 round plates in trans yellow – I have plans for these! 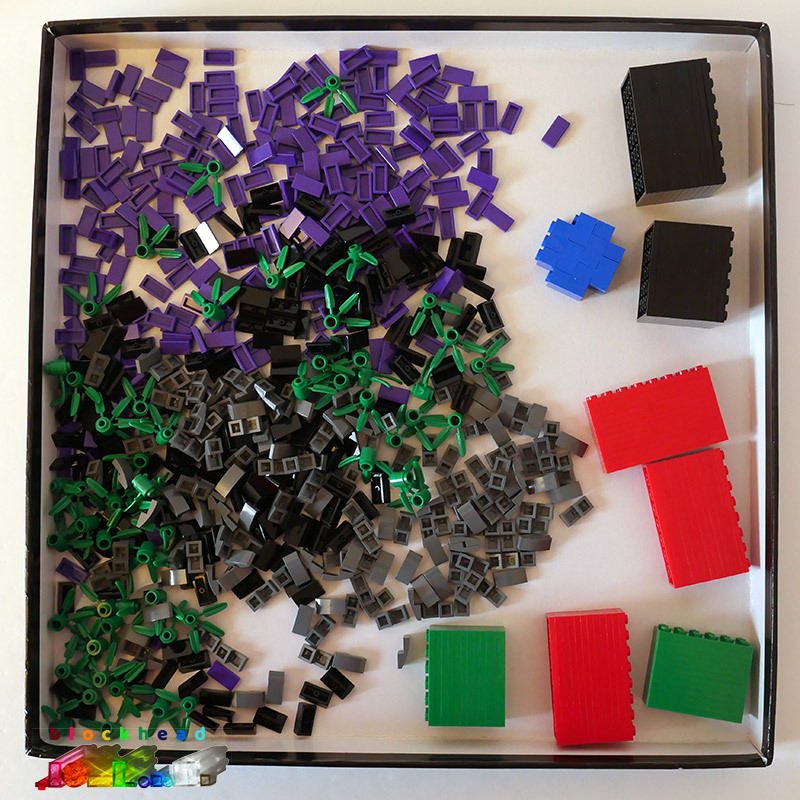 The other pot was mainly larger plates, some 1×2 baby bows in dark bluish grey, a handful of Bamboo foliage and a load more purple 1×2 tiles. I also threw in some 1×2 black cheese wedges. Once the sorting was done, I think it turned out to be a very respectable haul. 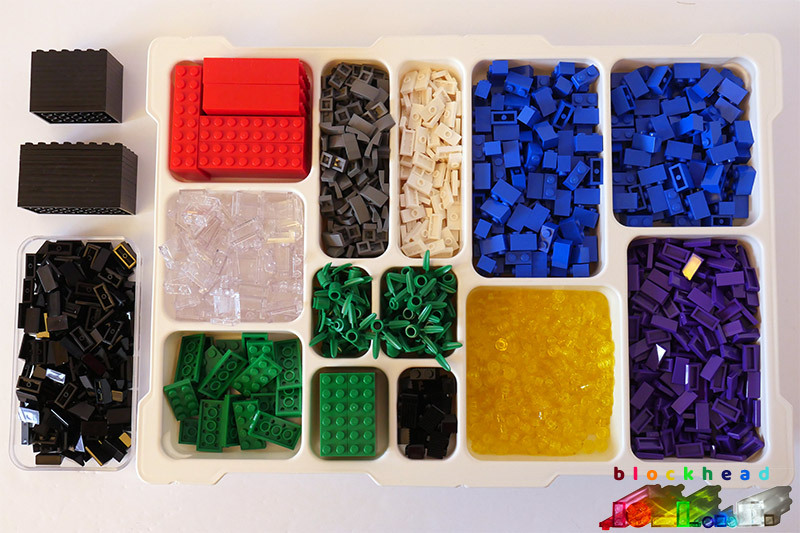 I will certainly make use of a load of these bits in the near future. Watch this space!